Find the resource you are interested in quickly by clicking the links below. Top Tips Tips for filling out the application. Four Features of an Ideal Grant Goals for the submitted application. Positioning - How to use words to your advantage in the application. Further Grant Writing Resources Links to helpful websites. General Non-Profit and Philanthropic Information Links for general nonprofit resources. If this is the first time you are applying for a grant from the Community Foundation call the Program Director or Program Manager at (319) 287-9106 to discuss your proposal. The need is always greater than the amount of funds available for Community Foundations to distribute. Before your organization applies for a grant think through the rationale behind your request. Are you applying because your organization has identified a need that requires more funding than your organization can provide, or are you solely seeking funding because you heard there are grants available? Create a grant calendar to keep track of all the application deadlines, award notification dates, award ceremony dates, and report deadlines. Do your research. Carefully review the grant guidelines; know what they fund, their criteria, etc. Follow the directions as stated on the grant guidelines and application. Convey the need that this project will meet, and why meeting this need is important to individuals in your community and county. Clearly indicate why your organization is in the best position to meet the need this program will address (see Positioning below). Say what you will do, not what you hope to do. "We will…" not "We hope…"
If applicable, explain how your organization will collaborate with other non-profit and governmental agencies to make this project successful. Include a budget which accurately reflects how the funds will be used, and if applicable how this grant fits into the overall funding of this project. List any other grants you have applied for and indicate whether or not that grant funding is secured or pending. Prior to submitting the application, review the application to ensure all questions have been answered thoroughly. Imagine that the committee who will review this application has no idea what your organization does, would this change any of your answers? Do you need to expand on any of your answers? For tips on what makes a great grant report and examples of grant reports see Grant Reports. A position statement stresses your organization's unique capabilities/role/etc. Use thoughtful and compelling language to describe how your organization brings value to clients and donors. Where does a position statement fit into your application? To strengthen your application, include your position statement along with your mission and vision for the future. This will help the grant reviewers know why your organization is in a position to meet this need and why your organization is unique in the services provided.  Iowa Council of Foundations – the place where grantmakers come together to access information, build skills and develop relationships to enhance philanthropy in Iowa. Looking for other grant possibilities? Try these links.